Can Google Adwords make money for my business? Google Adwords should be an effective channel for almost every business in Australia today. Unfortunately too many business owners end up paying the Google Adwords stupidity tax, the lucky ones for a month or less and (these people stop their accounts), others unfortunately have paid it for years and just don’t realise it and those that, get how Adwords work are achieving excellent returns and have unlimited budgets. Having reviewed in excess of 500 Adwords accounts, there are common problems that appear time and time again. These mistakes often start before setting up an Adwords account. Competition – how do your prices, services & USP stack up in the market? 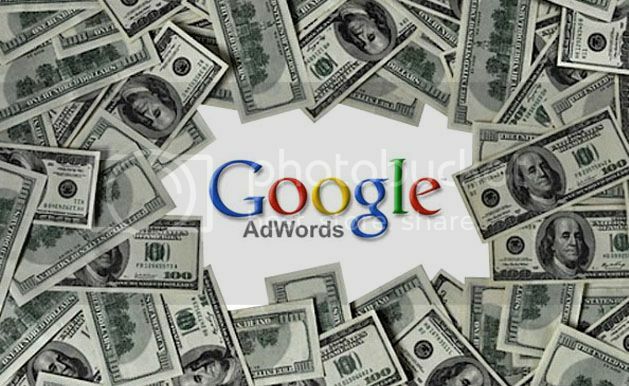 Can your business make money from Adwords? Once you have answered the above questions, you will know whether Adwords is the right fit for your business. If you would like to understand more about each of these key points above, subscribe to our (members only section). Once you have defined what clients are worth to your business, you need to balance out short term and long term concerns. You might decide that an average client is worth $20,000 to your business over 2 years. As a rule of thumb working on 20% cost of acquisition, you are willing to pay $4000 for every new client. That includes costs of salespeople, cost of marketing and cost of administration. There becomes a balance for many small businesses, in managing cash flows. To win a new customer will only net $850 per month, yet cost up to $4000 to attain. This model is only scalable to cash flow limitations in your business. Let’s take it to a deeper level. Talk with most sales people, they will tell you they close all of the good leads and the rest were tire kickers. If you are doing your own sales, and you are honestly assessing your performance, you might convert 20% of (non referral or repeat clients) into sales. This will range between 10-25% at the higher end. If you don’t measure sales performance, start doing it! Buying leads from online marketing are very different to referral leads, the ROI is what counts here. The Adwords average cost per click is $10 and your market is big with 100,000 searches per month – to learn more about assessing market size, refer to article on Google Adwords keyword tool. The average results quoted above include novices and dedicated professional teams with significant differences between either results making up the averages. Unless you are skilled in running lead generating campaigns there remains the chance (in the above example) of blowing nearly $100,000. Working with a professional Online Marketing company with the above example should cost between 15-25% of your budget. Budget on 20% to Agency for $10,000 per month = Pay the Agency $2,000 – advertise with $10,000. The services should include Google Adwords Management & Landing Pages designed for conversion. An experienced Adwords consultant or Adwords company should be able to deliver 20-30% improvement to any average Adwords account. When combined with boosted conversion designed landing pages the potential scope for improvement is significant. Think about the time and stress you will save yourself. This is a typical example of many businesses trying to run Adwords account themselves. If you would like to discuss your ideas for growing your business , we suggest rather than just jumping in feet first, talk with one of Australia’s most experienced Adwords Management team about what we deliver for clients businesses just like yours. Find Your Ideal Customers is exempt from paying the Google Adwords Stupidity Tax. We welcome you to join our series Find Your Ideal Customers – via Online Marketing where our team will provide tips used by the Pro’s that will reduce your Adwords Stupidity Tax.